I used a calendar on my computer realizing there must be a easier way to track progress and actions taken. After viewing others' journal and seeing it's benefits, it only makes sense to start my own in this forum. 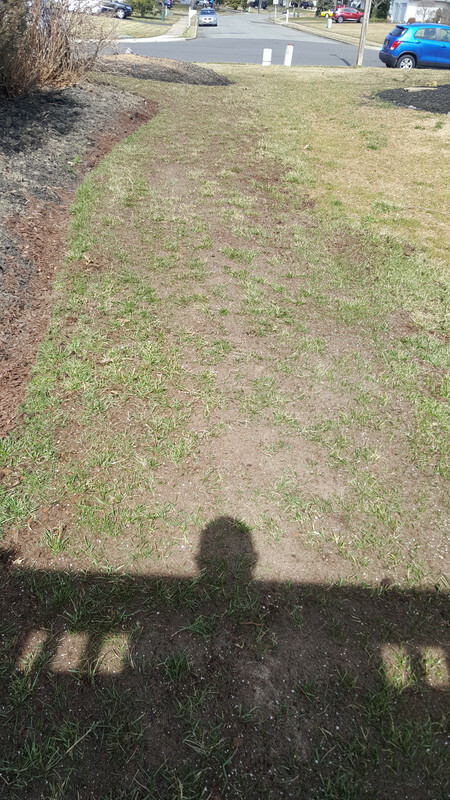 I'm sure the feedback will help as this is my first home with a lawn. 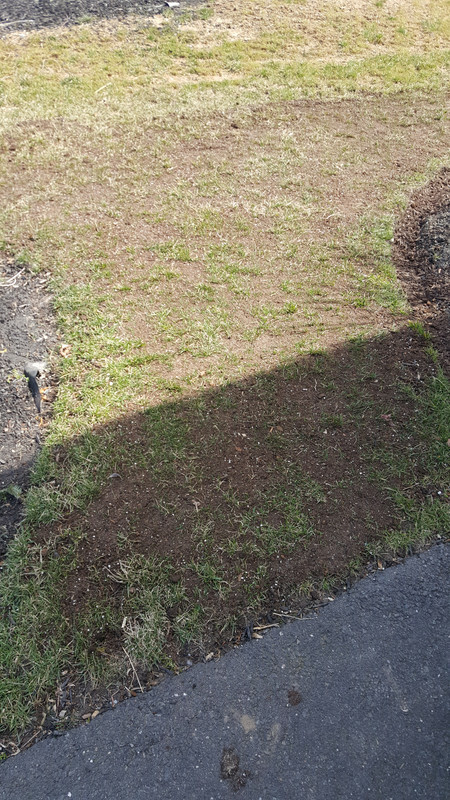 Dormant seeded with Bewitched KBG and Cochise TTTF (70/30 mix) in a thin area of the front lawn and on the sides of the house. Seeded pots from 5-weeks ago continue to thicken (70-90% dense). Spoonfed coffee grinds and Jobes Holly Food. Seeded new pots with Bewitched KBG today. Continued to add kitchen scrapes, paper products and fireplace ash to compost pile. Last edited by ruxie88 on Mon Feb 18, 2019 8:05 pm, edited 1 time in total. Newly seeded Bewitched KBG pots are showing sprouts. Continued adding kitchen scrapes and paper products to the compost pile. How/where are you growing the pots? I grow them indoors by a window that gets lots of sun. 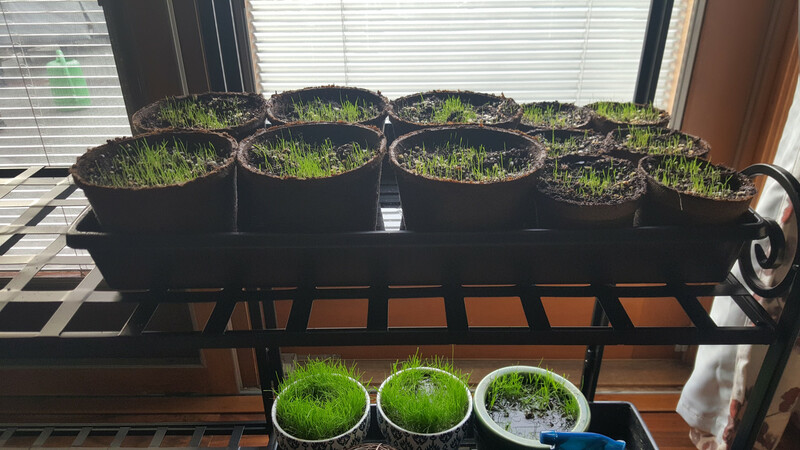 One tray contains pots that are 6-weeks old...2 of the 3 have filled in nicely. The other pic are pots that are 10-days old. 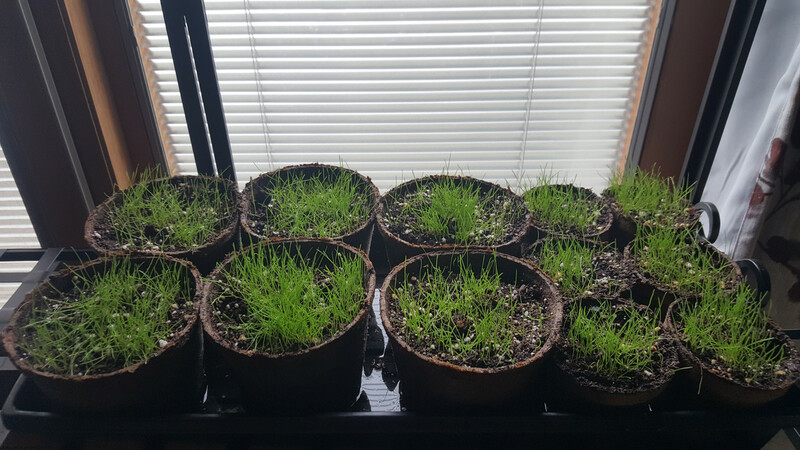 They are in peat moss pots. Last edited by ruxie88 on Tue Feb 19, 2019 8:10 pm, edited 2 times in total. Received 2-3 inches of snow and some rain this week. 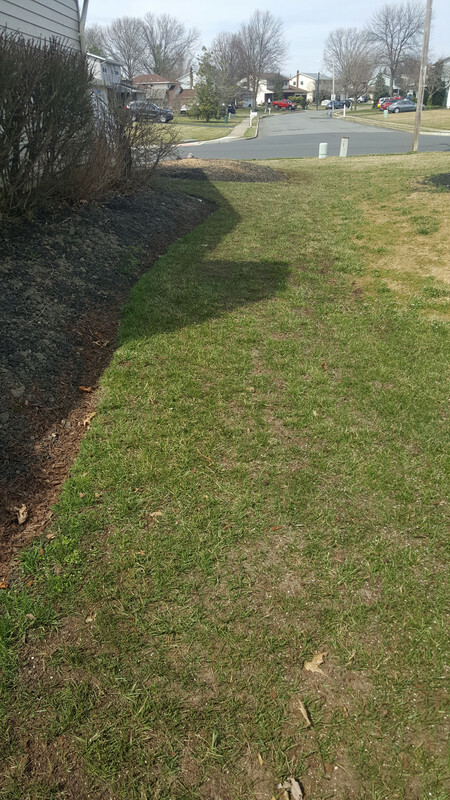 Got feedback on a damaged area to the back lawn that I noticed a week or two ago. 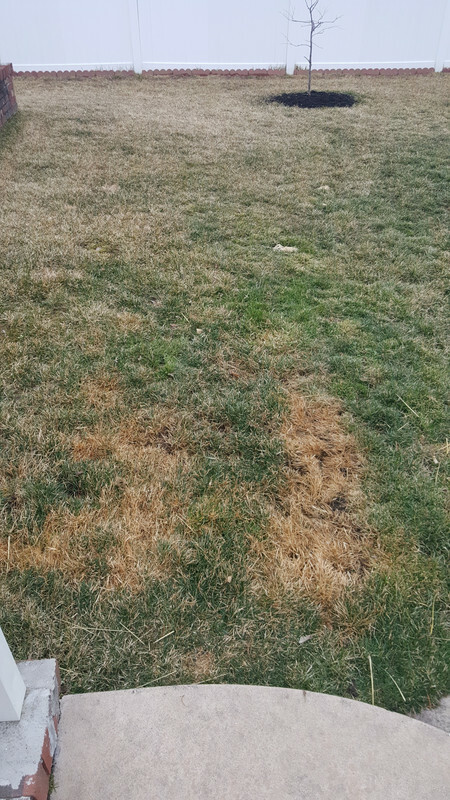 Unsure if it was snow mold or urine damage from the dogs. Leaning toward urine damage. Did a light rake in the area. Getting good germination from the 2-week old KBG pots. Will definitely need them for the damaged area if there is no growth in the spring. Continue to add scrapes and fireplace ash to the compost pile. Continued to receive a couple days of snow/rain this past week. 3-week old KBG pots continue to fill in nicely. Added some Holly food fertilizer to them. Added my last kitchen scrapes to the compost pile. We will see what it looks like in a couple months once it starts to warm up. Got a couple days of cold weather (highs in low 30s) this week and a couple of inches of snow. 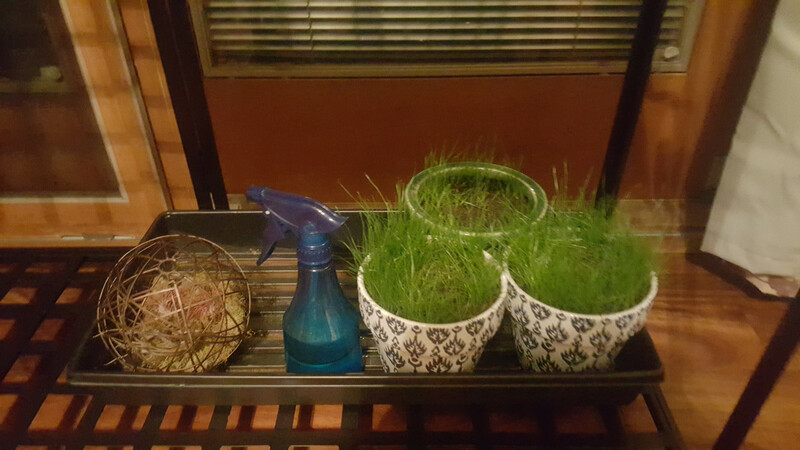 Applied Green Cure biofungicide to the KBG pots. Pots are in sprout-n-pout. Hopefully roots are growing and getting deeper. In the high 60s today. Got home from work early and did a light rake in the back yard...felt good! Picked up about 3/4 bag full of leaves, sticks, debris and pulled weeds. At 5:50 pm, soil temp was 52 degrees at 2-3 inches in the back yard. The low temp will be in the low 50s, so the KBG pots will be left outside. Forecasted to be in the mid 60s tomorrow with some rain. Great weather for kbg to grow. Yes. This is my first full year to do a well-thought out lawn program. I had good germination of midnight KBG for last fall's overseed in the backyard. I'm looking forward to seeing what survived the winter and how it spreads. I did not have good germination in the front yard, so I dormant seeded. Looking forward to those results. Raked the front yard. Took first ever soil samples and sent to Logan Labs. Easy process with the pro plugger. Soil temps at 3-4 inches were: back @ 51 degrees; front @ 48 degrees. Last edited by ruxie88 on Sun Mar 17, 2019 6:21 am, edited 1 time in total. MSU GDD crossed over today into the optimal range for my area. I put down the pre-emergent today hoping for a little rain tomorrow. Since I have dogs and want to do as much organics as possible, I put down corn gluten meal in the backyard. 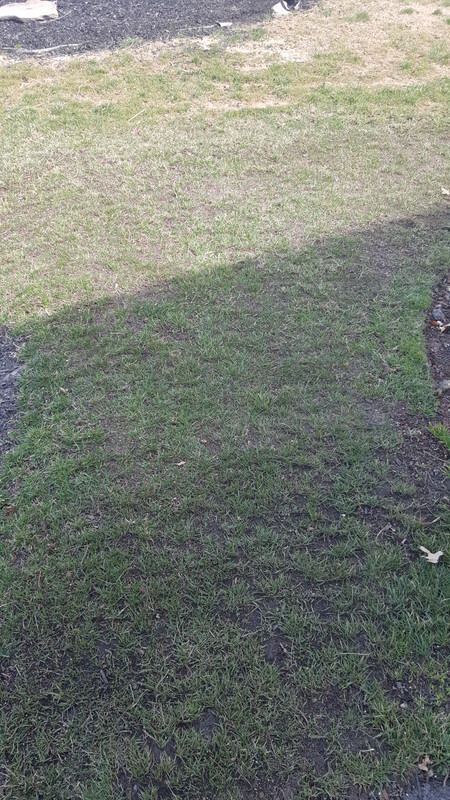 I dormant seeded in the front lawn, so I used Scott's Starter with mesotrione. It will be interesting to see the difference in efficacy. Got the soil test results back and discovered I have sandy soil (TEC 5.7 & 8) with above average PH (7 & 7.8). I'm waiting for further guidance to develop the game plan from the test results. KBG pots continue to fill in nicely. Sprayed them with Essential Plus and spoonfed urea. Lost patients and topdressed the east side of my house due to twisting my ankle because it was so uneven. Used a combination of topsoil, sand and peat moss. Last edited by ruxie88 on Sun Mar 24, 2019 1:56 pm, edited 1 time in total. Fun to see the KBG pots grow. I may have missed this but did you use native soil or some type of potting soil? 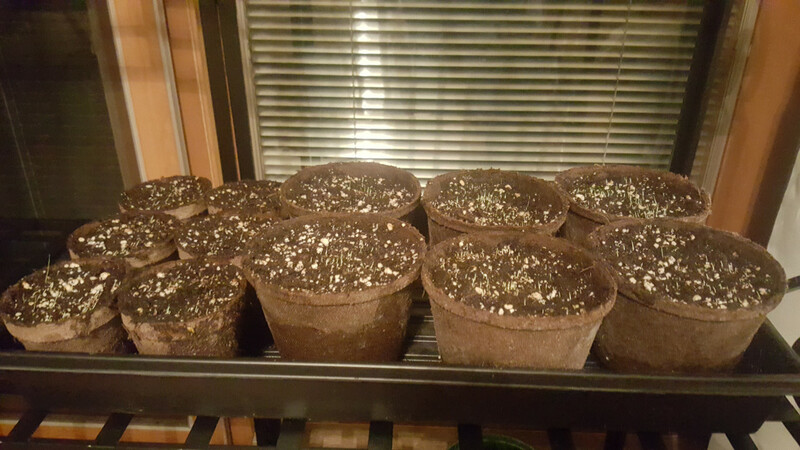 First time doing it, so I used potting soil. We'll see if it properly transplant. Being more knowledgeable, next time, I will use a combination of topsoil, sand n compost. Had some days with high temps in the 60s and today is forecasted to be in the 70s. On a couple days, I did go to work with frost on the car and grass. We did not get much rain, so the prem is not fully watered in. We should get some decent rain tomorrow. I noticed a lot of chickweed and Henbit that came from nowhere in the backyard. I was way to slow to respond to dealing with it. I think this was due to not applying any herbicide last fall. I mixed prodiamine and tenacity, and sprayed the rock bed where it is prevalent and spot sprayed the yard where I saw it. The area I topdressed/leveled has filled in nicely in one week and color is getting better. Mowed back yard for the first time this season. Some areas close to the patio have seen top growth. I think due to where the dogs urinated throughout winter. Plan to spread peat in the yard tomorrow before the rain comes. Expecting rain tomorrow morning. I rushed to spread peat on the backyard just finishing before dark. 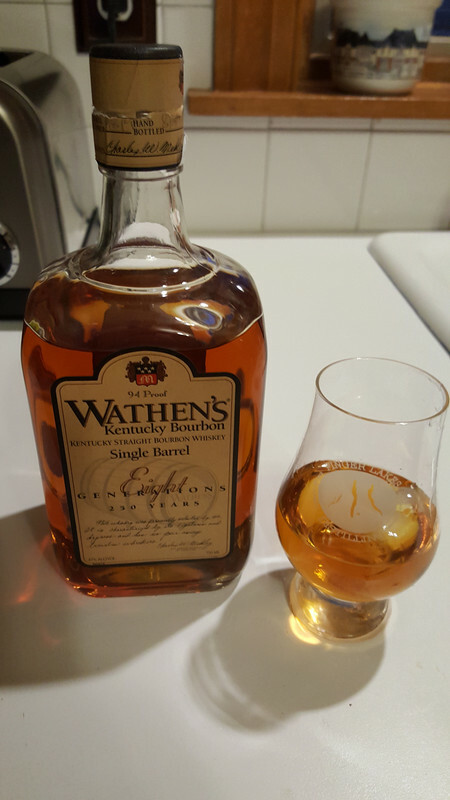 Got cleaned up, ate and opened up the below for the first time. On the sweet side, but smooth after the first sip. Only thing missing was a Cohiba and an ocean view...but i can imagine!